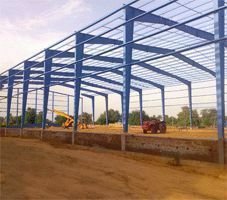 Pioneers in the industry, we offer industrial roofing shed, industrial shed, industrial steel shed, commercial shed, warehouse sheds and peb structural shed from India. Leveraging on the support of our knowledge procurement agents, we are engaged in supplying and trading Industrial Roofing Shed for our esteemed patrons. Our offered sheds are designed by skilled workmen, using high-grade basic materials and components. Clients can choose these sheds from different specifications that are available with us and make warehouse, manufacturing unit and many other such establishments with them. 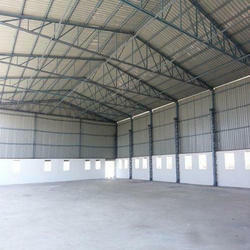 We bring forth Industrial Shed for our clients, which is sourced from celebrated vendors of the market. Suitably designed keeping in mind the different types of badminton courts, these sheds are fabricated using premium quality metals and advanced techniques. Furthermore, for ensuring flawlessness of these products, we check these thoroughly after procurement. 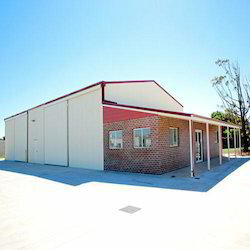 Over the period of time, we have established ourselves as a renowned supplier and trader of high quality Commercial Shed. 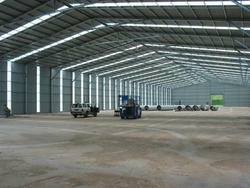 Obtained from trustworthy vendors of the market; our sheds are ensured for their rigid construction and flawlessness. Made using premium grade materials and components, these sheds are available in diverse sizes and specifications. 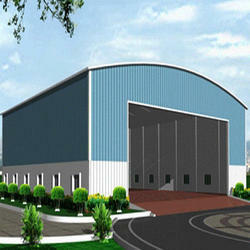 Counted in category of topmost organizations we are offering PEB Structural Shed to our clients. This structural shed has been manufactured in unique manner and has blend of eye-catching design, robustness and excellent structure. This PEB Structural Shed is available in wide ranging options and is in sync with industry standards. 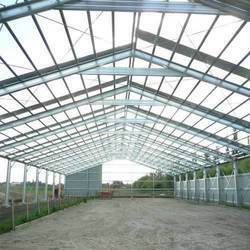 We are offering PEB Structural Shed at convenient price to our clients from across the nation.